Anonymous, 06 Nov 2008Hey, Therock I thought you had an E71 in your purse? Why do you keep posting the same N95 s... moremy n95 story is a nice story..lol. This is a slick looking phone, but if you are a techie (flasher/customizer) you would never use this phone. No MMS, closed-platform, lack of multi-tasking. I'll stick to HTC WinMo / Android when it becomes available. therock, 06 Nov 2008"omg!... (lol..haha) i went to the apple store and att. I took out my n95 and compared it to th... moreHey, Therock I thought you had an E71 in your purse? Why do you keep posting the same N95 story? Did you read the 8 megapixel shootout? therock, 06 Nov 2008i do have an iphone and it is in the junk box. it also means i can afford it. ...and I have an N82 in my junkbox, your point? I've sold hundreds of these and dead pixels have not been an issue with one of them, to the guy who says he's swapped five I'm calling you on that one, you're outright lying aren't you? Mirna, 06 Nov 2008omg i felt like celebraty today you know why? well i was in the city today and decided to c... more"omg!... (lol..haha) i went to the apple store and att. I took out my n95 and compared it to the iphone. People inside the store were curious about my n95...is it a camera, or smart phone?. I told them it is smart phone ...an all around device: camera, internet, and a phone. even the att guys checked out my n95. I went to a halloween party in club where dimmed lights dominated the place. I took out my n95 to take pictures and my frends got impressed of the device. i dont think they have seen an n95 before. they had to carry regular cameras because their iphones became useless." 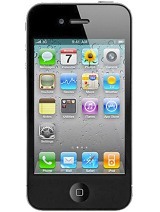 Anyways...iphone the best phone ever( which i have heard so many times and i also heard complaints bout the iphone)? i dont think so. Shut your mouth and know your role! Anonymous, 01 Jan 1970i do have an iphone and it is in the junk box. it also means i can afford it. Anonymous, 06 Nov 2008Lamborghini and Ferrari only bring out a few products per year, yet no one thinks they are bor... more"If you watched any of Steve Job's Macworld keynote presentations when they announce the new new products for the quarter you'd know that they aren't just spurting junk out to get sales, but making sure that what they've made is absolutely brilliant. You call that brilliant!! Is should be QUALITY AND QUANTITY. other cel companies focus on Quality and Quantity. Therfore, variety of choices makes it interesting for the customers. NOw that is BRILLIANT! A deception because it's the contrary of the philosophy of the computer Mac Os X system. 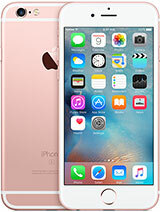 The Iphone come with nothing, every possiblity of a multimedia gsm isn't included. You must buy every part of your cellular and Itunes isn't the best to manage datas. If your looking for a powerful and complete device forget this one. 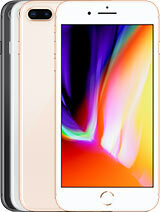 Hi All, please note that I-Phone is now available through Vodafone Egypt, go and register quickly in thier web-site www.vodafone.com.eg, quantities are limited. 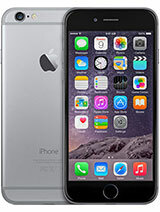 There is allot of opinions about some other phones it has nothing to do what IPHONE . You can see clearly that those are non IPHONE users !!!! I think that people who haven't (or never using) iPhone shouldn't writing the opinion about it, they shouldn't voting. Al Jencovic, 06 Nov 2008WHAT!!!!! are you kidding me?? no way thatll happen nseries are the worst series nokia has e... moreThe only things that have changed in Nokia Symbian phones is the way they move things around. e.g. backing the phone up to the memory card. Is in Tools, Applications, Gallery, Files, Office? The answer is all of the above depending on which model you have the misfortune of grappling with. Their menu system is crap, it's a chore to use them, simple things like copying numbers to and from the SIM card are made complex for no apparent reason and the method changes from model to model. Al Jencovic, 06 Nov 2008WHAT!!!!! are you kidding me?? no way thatll happen nseries are the worst series nokia has e... moreBusiness is business when it comes down to it anything can be used. Someone who is no good at business will fail no matter how good they think their tools are, likewise someone who is good at business will use whatever they have to the best of their abilities in order to succeed. You have no idea what you are talking about, I used to do business with pen, paper and payphones, then along came pagers and faxes, mobile phones, WAP, GPRS, MMS, 3G and video calls. A pen and a napkin can be used for business, the most basic phone can be used for business. 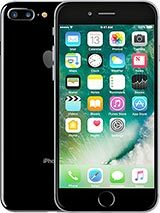 Business is conducted by people by exchanging ideas and the iPhone is very well equipped in that regard across multiple channels. It works and it's enjoyable to use, it does what it's supposed to and it does it well. there is allot of kids just Jealous abotu the IPHONE posting negative rediculis opinions !!!!!!! omg i felt like celebraty today you know why? to just prove apple iphone is the best phone ever!! no way thatll happen nseries are the worst series nokia has ever created!! to be honest with you and everyone else ive had the n70, n80, n91,n93i, and n95 8gb and they havent changed one little bit except techs and specs thats it just the same old studid little nokias they were 4 years and havent changed. 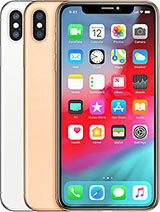 i just wanna go up to nokia and say "change your d*mn phones for a change there batteries havent changed at all the same nothing and you say we believe in apples marketing gimmicks uhh...i wouldnt talk much please take a look at yourselves!! What does an Iphone have to do with bussiness?? It's how you use a cellphone. 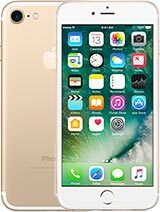 And actually is very well known is the bussiness world due to it's functionallities and the possibillities that can be applied on the IPhone. It would be a stupid idea to give it to kids. Expensive joke if the kids breaks the phone. Also I've seen a few friends who work at T-Mobile with the Iphone. They also are very pleased with it. I've played with there cellphones to find out what it can do. Friend of mine just got OMNIA and let me paly with it . I just wanted to tell you it is a rubbish phone. It looks like a very bad copie of IPHONE he is very disappointed even 5MP cam is not making it up for him. APPLE you are making a WONDERFULL staff .